Benefiting from accelerated aging population and rising proportion of reimbursement for medical expenses, the Chinese Orthopedic Instrument market demand has been effectively released, with its scale presenting a CAGR of 19.2% during 2009-2013. 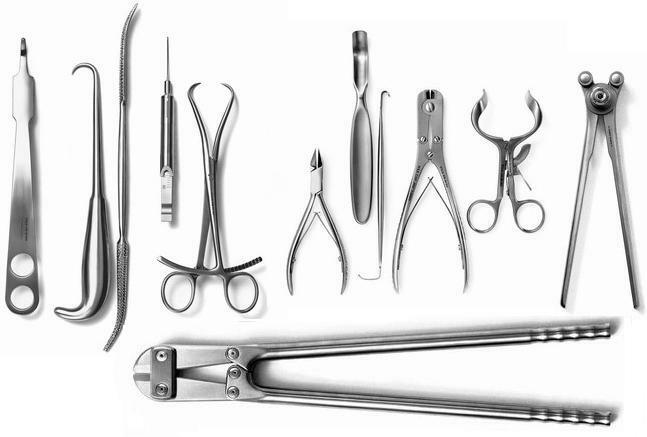 Trauma products, spine products and joint products are three product segments of orthopedic instruments in China, of which trauma products holding the bulk with 36.9% market share in 2013. Being optimistic about bright future of China orthopedic instrument industry, some foreign and domestic companies are speeding up their layout in orthopedic instrument market though mergers and acquisitions. In 2012, Medtronic, Inc. acquired the most competitive orthopedic device maker in China– China Kanghui Holdings for USD 816 million; In Jan. 2013, Stryker Corporation bought China’s largest trauma product makers– Trauson Holdings Company Limited for HKD5.9 billion; In Sep. 2011, MicroPort Scientific Corporation entered orthopedic instrument market by purchasing Suzhou Best at transaction value of RMB 110 million, and acquired Wright’s OrthoRecon business at USD 290 million in Jan. 2014. The Chinese orthopedic instrument market now is dominated by Johnson & Johnson, Zimmer, Medtronic, Stryker and other foreign companies, together holding 40%-50% market share. However, local Chinese companies like Shandong Weigao Group Medical Polymer Co. Limited, Shanghai Kinetic Medical Co., Ltd. and United Orthopedic Corporation have made some progress in R&D and production technology in recent years, and grabbed some marker share by virtue of advantages in cost and channel. Shandong Weigao Group Medical Polymer has become the largest local orthopedics company in China with a market share of 4.3%; Shanghai Kinetic Medical is a leader in vertebroplasty interventional operation system, occupying about 50% of the Chinese percutaneous kyphoplasty (PKP) market; United Orthopedic Corporation is a champion in artificial knee/hip joint with 4%-6% market share in China.